When you receive notifications, the number of notifications will be indicated on your Global Navigation Bar. Clicking the notification icon will show a notification summary. You can go to the notification's designated Issue page by clicking the associated notification. 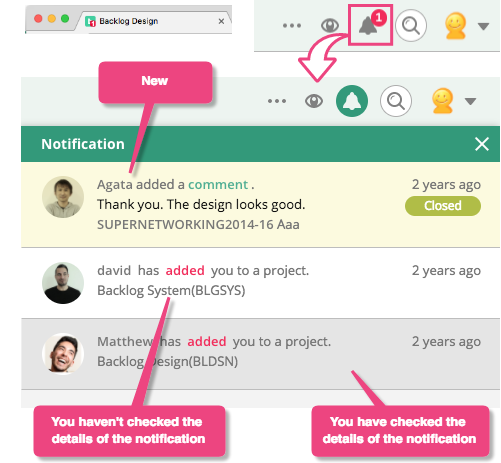 If you are notified that you have been added to a Project, clicking the notification will bring you directly to the Project Home page. Please check here for details about Notifications.